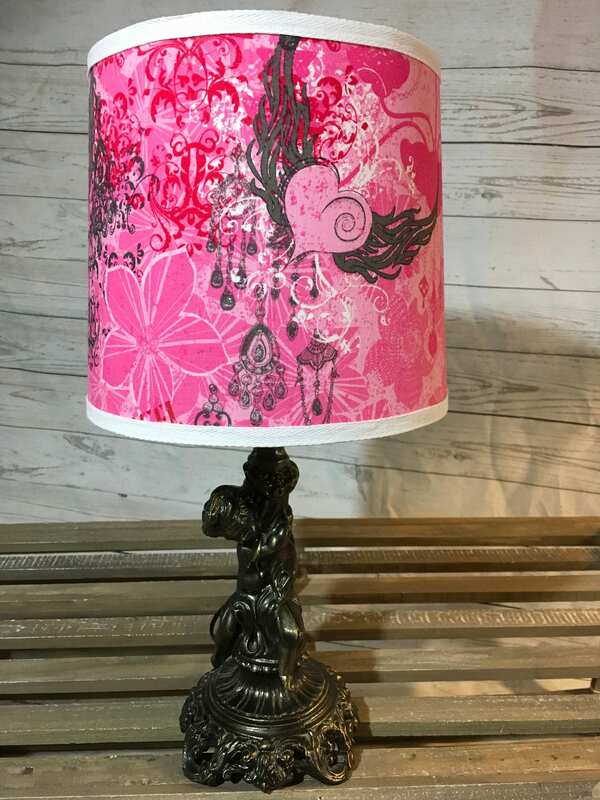 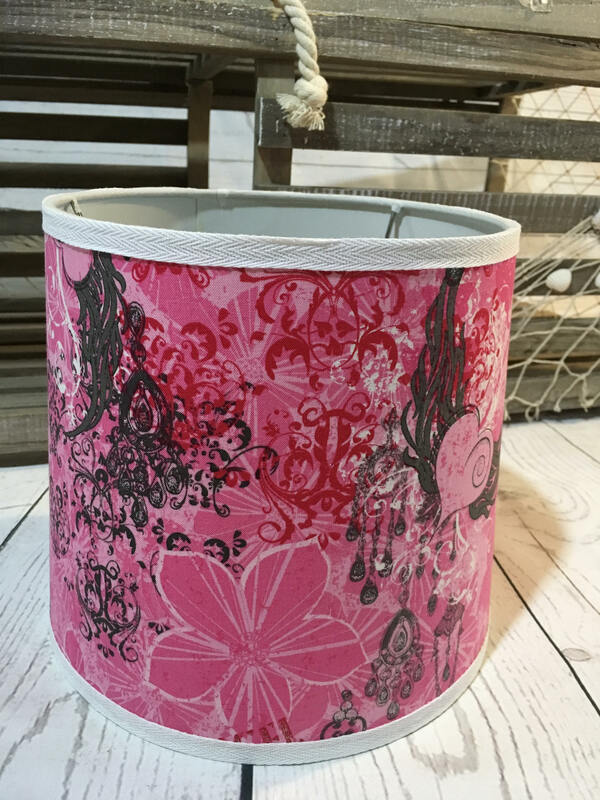 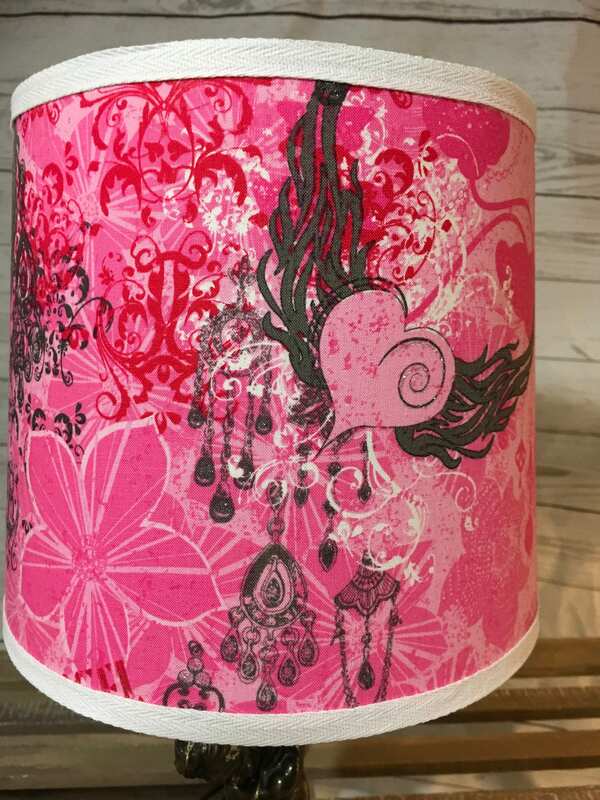 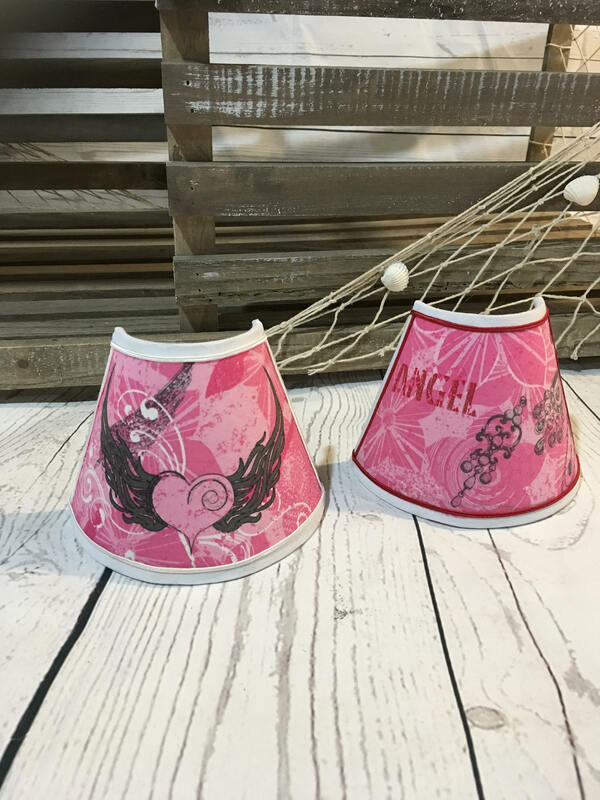 Clearance - last one - discontinued style of lamp shade - half off!! 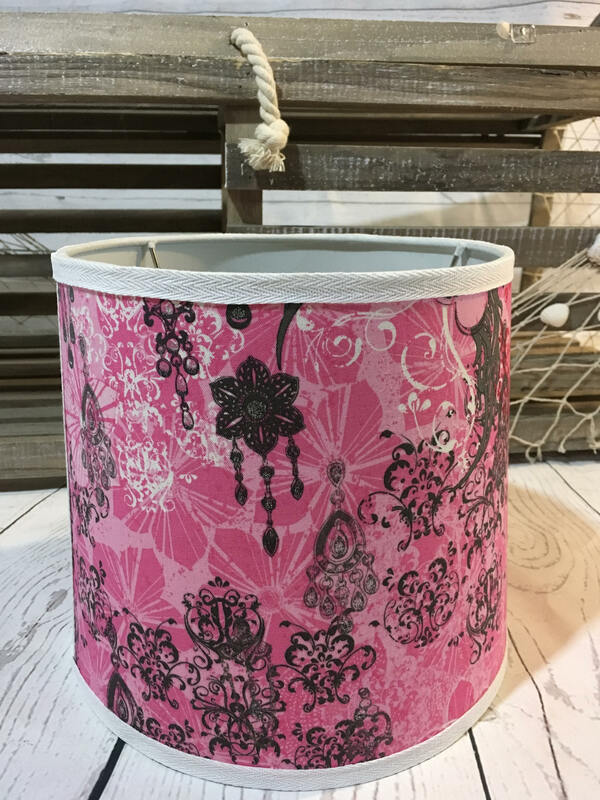 I handcraft this fabric lampshade that measures 8" round at the top, 9" round at the bottom and is 8" tall - with a uno style attachment that fits over most standard lightbulb sockets. 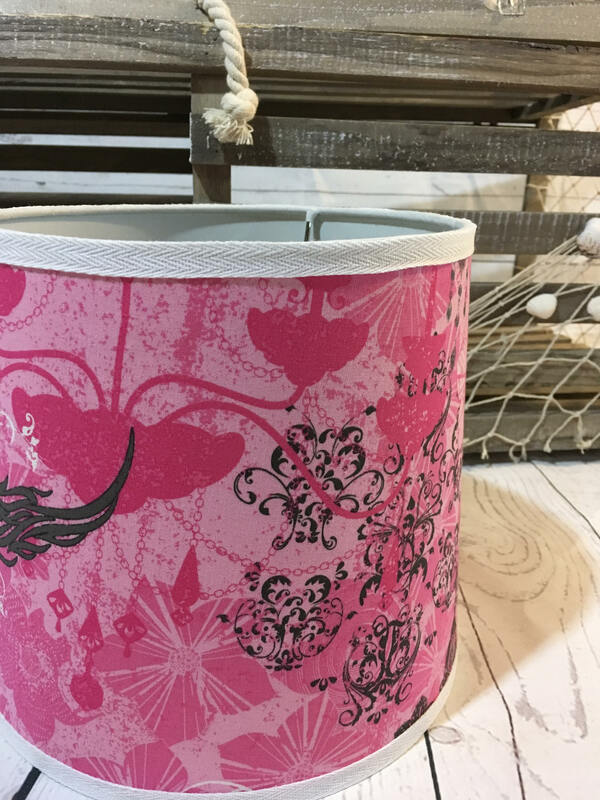 The fabric is bonded to heat-resistant styrene so you can use 60 to 100 watt bulbs in your lamp base. 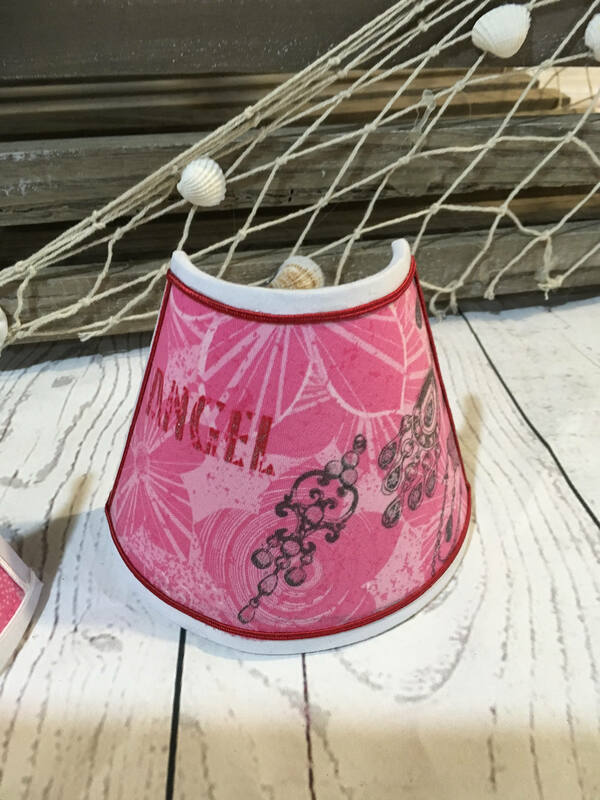 Clean up is very easy - just use a lint roller or clean, damp cloth.